Drake is currently working on a Lebron James tribute single after the Cleveland Cavaliers star reached a milestone 30,000 points. King James has been celebrating his achievement all week and the 6 God is catching some Lebron fever after delivering his new Scary Hours EP. Bron’s achievement has been echoing far and wide with a lot of his NBA peers congratulating him and even some folks from inside rap circles have been paying homage to the basketball legend. Drake is taking it a step further by recording a song specifically for Lebron James in honor of his 30,000 points milestone. Other rappers like JAY-Z, Nas, Diddy among others have also shared their reactions to his 30K points achievement. Drake then picked up the most expensive bottle of wine he could find in his house, a 1961 Petrus which retail for anywhere between $6,000-$25,000. Instead of drinking it he smashed it on the floor. The whole thing looked so fake you can see it in the video below. One thing that is very real in this situation is the song Drizzy is working on. He posted a video on his IG page of himself and his crew taking a studio break while sinking a shot from down town. 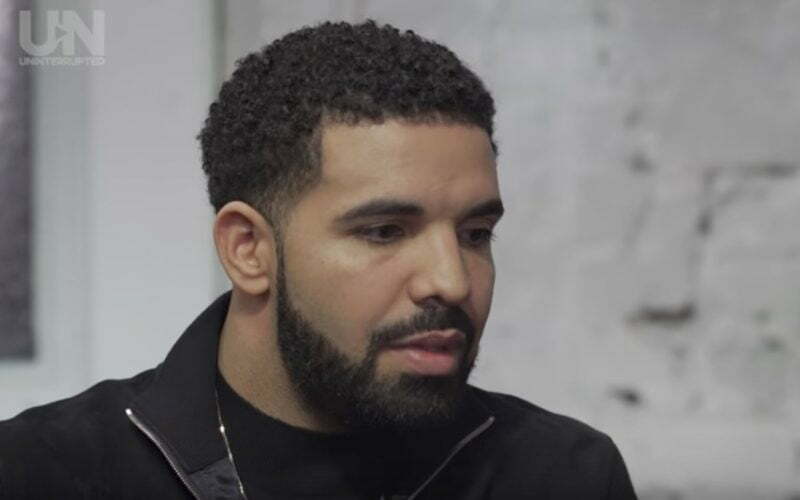 Drake also did a bit of history making himself this week when he smash Spotify and Apple Music single day streaming record and it was only from two songs on an EP. Imagine if it was an entire album, something tells me the 6 God is coming for them this year.